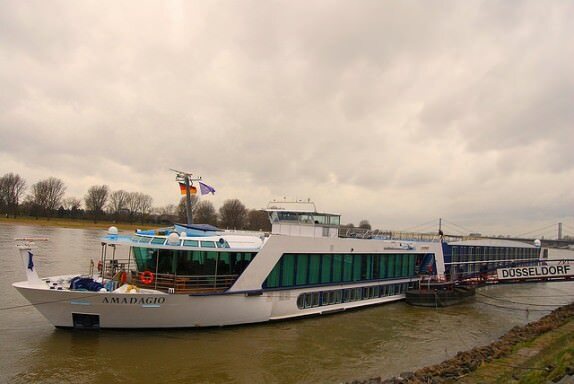 AMA Waterways MS Amadagio: Have Cabin Will Travel ~ A Rhine River Cruise! Amsterdam captures my heart on any given visit, but for it to be the embarkation point for a river cruise, made it even more captivating. 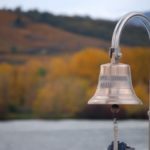 Cruising is one of the ways I like to spend my vacations, but after a week sailing the Rhine and Mosel Rivers with AMA Waterways, river cruising has shot to the top of my list of favorite-ways-to-travel. Arriving in Amsterdam (a few days earlier than my scheduled cruise), I checked into the Hotel Estherea. This charming four-star, 70-room boutique hotel, established in a renovated building from the 17th century, fronts the Singel Canal. 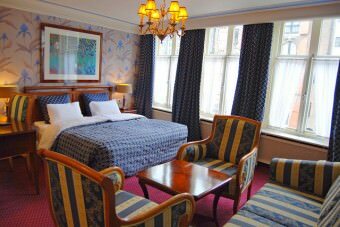 Hotel Estherea is perfectly located on a quiet street within walking distance to all the main sights in Amsterdam – Anne Frank House, Red Light District, Dam Square, Rijksmuseum, Van Gogh Museum, Central Station, Begijnhof and Rembrandt Square. The day of embarkation, walking from Hotel Estherea to the cruise ship (and rolling my High Sierra wheeled duffel) on a crisp spring afternoon, only took 20 minutes. Once I caught sight of the MS Amadagio (the ship that would be home for the next week) my pace increased with excitement. She looked beautiful! Walking up the gangplank and straight into the lobby, the ship’s crew was waiting to greet and assist newly arriving passengers. The check-in procedure was professional and efficient; and within minutes, my cabin steward for the week was explaining the features of my spacious and well-appointed stateroom. The question now was if I would have enough willpower to drag myself away from the Infotainment system (free internet, satellite TV, movies and music), in my exquisitely decorated stateroom with all the amenities of a fine hotel, long enough to participate in the daily sightseeing excursions. Thoroughly excited, it was time to investigate the rest of the ship and see what else she had to offer. 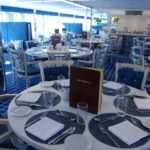 Unlike Mega Ocean liners that boast up to 14 decks, the MS Amadagio river cruise ship has just three decks and could be quickly explored – there would be no getting lost or spending a week locating the dining room. The MS Amadagio (built in 2006) deck plan includes: a sun-deck; 20 bikes for passenger use; one elevator; one restaurant; two lounges; gym; sauna; massage and beauty salon; 71 staterooms (maximum 148 passengers). The dining experience was an event to remember and passengers were never disappointed. 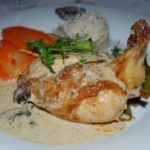 Cruising for some people is all about the food and the highly trained chefs on the MS Amadagio prepared gastronomic delights on a daily basis that would please any foodie. Dinner was delectable, with internationally and locally inspired menu items including: marinated fresh scallops and cray fish in lemon grass-coconut sauce; grilled filet of fresh sea bream wrapped in Parma ham on pesto, glazed carrots and pecorino risotto; Limburge stoofpot van lamsvlees (lamb stew Maastricht-style with tomatoes and olives on cous cous); beef carpaccio with crispy parmesan and truffle-herb vinaigrette; Valrhona caraibe chocolate tartlet cocoa tuile; fresh chanterelles ragout served with home-made herb pappardelle; various flavors of delicious, home-made ice-cream. With local and regional wines (complimentary at dinner), carefully selected to accompany each menu, a fabulous dining experience was to be had every evening. Breakfast, lunch and dinner became events in themselves – especially with an abundance of fresh ingredients, extensive variety and excellent service from the friendly and attentive restaurant crew. Europe and an extensive itinerary was the main reason for taking this cruise, but the MS Amadagio and her crew turned out to be the largest part of the equation for making this trip an all time favorite. 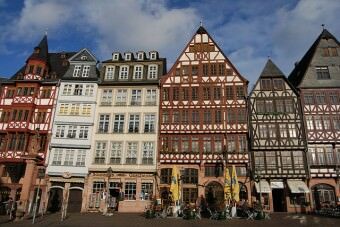 From start to finish, the experience was flawless as the ship sailed from Amsterdam to Dusseldorf, to Cologne, to Mainz, to Frankfurt, to Koblenz, to Cochem, to Bernkastel and to the final destination of Trier. Included sightseeing excursions with English-speaking guides where fun and informative, allowing plenty of time at each destination. 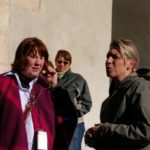 Guides shared tips on the specialties of the region, which souvenir shop had the best prices and most authentic items and where to find the locals having a beer. A week onboard the MS Amadagio proved to be not nearly enough time and it was difficult to leave the comforts of the ship, the crew I had grown fond of and the passengers who were now friends for life. 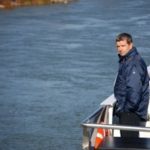 Eager for another outstanding journey along the rivers of Europe, the only solution was to start planning a reunion with my newfound friends for another AMA Waterways river cruise. Click here to view more photos from this trip. Click here to view more cruising photos. AMA Waterways offers river cruises to various destinations in Europe, Russia and Vietnam. Hotel Estherea is a four-star boutique hotel in Amsterdam. High Sierra Sports Company makes luggage for all your daily and travel needs.